Swap the pink boa for unique experience designed to bring out your inner goddess. 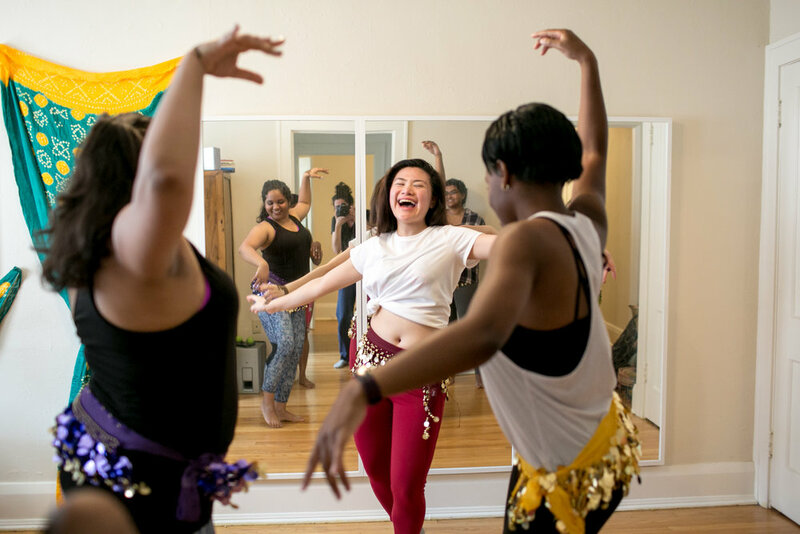 Whether you’re popping champagne in a swanky suite or lounging in your BFFs living room, Belly Dance Bachelorettes will come to you to provide a unique and entertaining dance experience. I am passionate about teaching belly dance to all levels and experiences. I strive to create accessible spaces both physically and emotionally so participants can and feel comfortable in their own skin and activate the joy of movement.. In my teaching I focus on beyond "getting the moves right", but strive in supporting how movement can increase confidence, build community, embrace sensuality and develop new skills.